During this year’s AGM, we unveiled our development plan for a new trail system at Barbour Rock to the excitement of all in attendance. Over the months we have completed the development plan, and submitted it to Front Counter BC, where it is currently going through a referral process. The trails at Barbour Rock promise to unlock some very unique and exciting terrain for all skill levels of bikers, as well as serve as a gateway to fantastic hiking and rock climbing opportunities in the summer, and nordic skiing, snowshoeing and fat biking in the winter. 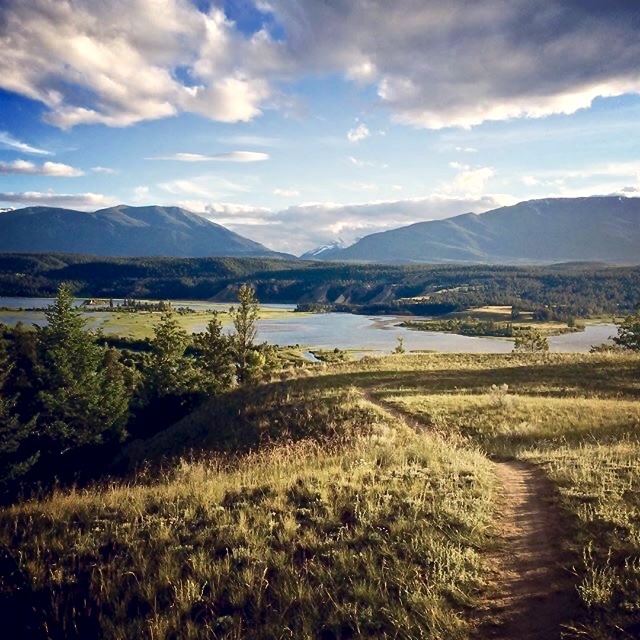 The CVCS has put significant time and effort into ensuring that the trail network caters to the needs of many user groups in the valley, and brings Invermere one step closer to becoming a true “trail town” – expanding recreational opportunities for residents, and unleashing the tourism potential of our stunning geography. If you have not yet had the opportunity to review the Barbour Rock Development Plan, feel free to review it here. Recently, there have been a few letters forwarded to Recreational Sites and Trails BC and the local papers, expressing concerns about the proposed trail network from residents of the Toby Benches. We strongly believe that soliciting valuable feedback – both positive and negative – is one of the most important parts of the development process. We believe that the majority of the community strongly supports this project, as it promises to benefit many diverse user groups in the valley, and holds spinoff benefits for many local business owners. To many, the benefits of a larger sanctioned trail network may seem obvious, and support for Barbour Rock is held as a given. We believe that this forms the silent majority who thinks: “why on earth would anyone be opposed?”. Unfortunately, a very vocal minority threatens to block trail development on the Toby Benches. While we absolutely appreciate their concerns, we find that many opinions stated lack credible evidence, and are rooted in perhaps a lack of understanding of why recreational areas like Barbour Rock are so important to so many people. Simply put, we cannot stand idly by while the vocal few actively campaign against such an important project. One of the main reasons the CVCS was created, was to advocate for the development of legally sanctioned trail networks for the use and enjoyment of all residents and visitors. We are asking for the “silent majority” to cease being silent. Stand up and voice your support for Barbour Rock, and other future trail development in the valley. To show your support, please visit our Change.org petition. You can also submit a letter of support by simply commenting below, or by emailing us at columbiavalleycyclingsociety@hotmail.com. All responses will be presented to Recreational Sites and Trails BC, and local council. I usually go to to Fernie for biking weekends. If Invermere had a good selection of world class trails, I would give it a try. I love the area. The Columbia Valley and surrounding area has fantastic recreational opportunities. However, the area has fallen well behind other communities in developing quality, multi use trails and associated facilities. The economic impact from this is substantial. Currently, sanctioned trails are experiencing very heavy use and unsanctioned trails are being built to fill the gap. This trail system would provide another area to recreate and take some pressure off the other trails. Healthy outdoor lifestyles are becoming ever more important to people. Let’s support it!!! I have ridden in the Columbia Valley for the last seven years. The region is attractive to ride in for its long season, great soils and the great access to other recreational, community and retail amenities. I have hosted large groups of out-of-towners for group rides and they keep coming back. More trails in this ideal setting will attract more economic development. The riders are well mannered and respectful of sensitive features – its a great and sustainable place to ride and increasing the amount and variety of trails will just continue to maximize that. I have read the Barbour Rock trail plan and am fully supportive of its advancement. I fully support the Barbour Rock development as not only will it benefit cyclists but other users as well. I have already experienced what a small vocal group can do to a great project such as this and I would not like to see this derailed because of inaction of so many dedicated cyclists and other recreational users. I have reviewed and read the 7/9/2016 Kootenay Planning Consultants report: “Barbour Rock Recreation Trails Plan”. The submission is well prepared and thorough. I compliment your public consultation process and your desire to accommodate as many diverse trail user groups as possible. I fully support your initiative to construct this multiuser trail system, as further enhancement and expansion of our local trail systems is beneficial to our local economy and an enhancement of our valley quality of life. I would like to see all bikers and hikers support this trail.The valley needs more authorized,legal trails.It is close to town,easy to access and will make a great addition to what we have!!! Barbour Rock is a fantastic opportunity to further promote a healthy lifestyle in the Columbia Valley. People of all ages and means can enjoy cycling with minimal environmental impact or cost for infrastructure etc. Interest in cycling is growing in leaps and bounds. Communities all over the world are developing more and more options for cyclists to meet this demand and as a result these communities are growing and prospering. I believe Barbour Rock is a great opportunity to continue to offer the general public reasons to visit our valley. I am in complete support of the Barbour Rock Development Plan. I read over the plan and have great confidence that the trails will be developed and maintained to the highest standards. We have used the Lillian Lake Trails for several years and it is evident that the developers of these pathways deeply care about the land and its surrounding environment. I believe the Barbour Rock Development would encourage more local residents to enjoy the beautiful land around them and it would also lead to financial opportunities for local businesses. I believe any opposition to the plan needs to be heard and valued. This is healthy and acceptable for a community. But for all the people that would benefit from the Barbour Rock Developement Plan – this needs to go ahead. Years down the road, this development will bring such joy and great opportunity to the local community. I fully support the Barbour Rock trail system. Invermere has become a great destination for Mountain Biking not only for it’s beauty but also for it’s relatively long riding season. I also believe the local economic benefits would be tremendous. Mountain Biking needs to be supported as it promotes a healthy lifestyle and provides fun for the whole family. I think it would be wonderful to build the Barbour Rock trails so people can ride their bikes, hike and enjoy the beauty of nature with their family. I think that it would be a great idea to build biking and hiking trails at Barbour Rock so people can bike there and I would like to bike there too! You can also go bike and hike with your family and friends, and you can take your dogs for walks too! I have reviewed the proposed development plan for Barbour Rock recreational site and I fully support the project. Thank you for your hard work. I support the Barbour Rock trail plan. I support the trail system as proposed. A solid plan for the valley and the future of the valley as both a great place to live and a destination for many others. I fully support the development of additional mountain bike trails in the Columbia Valley, and at Barbour Rock in particular. I am in favor of having new multi-use trail system in the valley. We are light years behind other communities such as Golden and Fernie in new trail development.. I applaud the comprehensive job the Cycling Society has done on the Barbour Rock proposal. We are far behind other towns in terms of the number of bike trails we have, so this trail is really needed. Unfortunately most of the valley bottom is comprised of private land or Columbia River Wetlands Reserve so new trails must go elsewhere on Crown Land. If not the Barbour Rock Trail, then where? Crown land belongs to all of us and there must be recreational opportunities for all- that’s why people live here. I fully support the Barbour Rock Trail proposal. 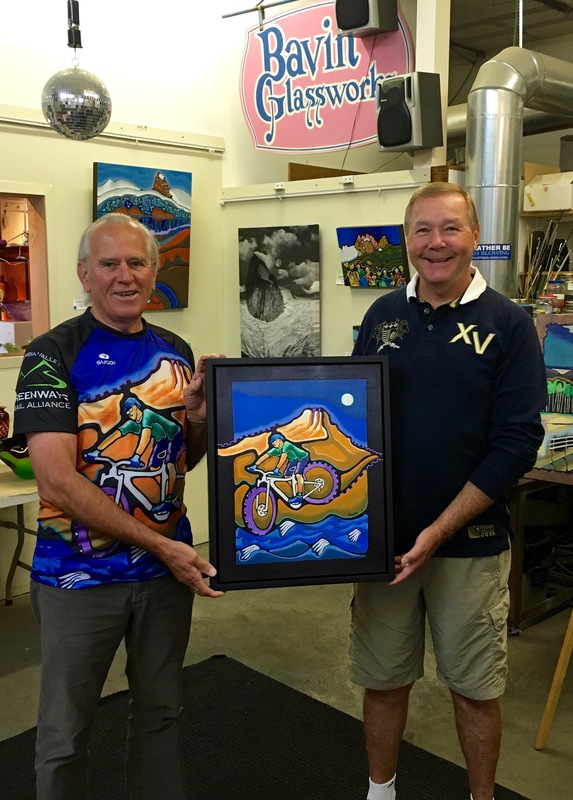 Mountain biking is crucial to the health and well-being of a large segment of our population in the Invermere area. My family and I are frequent users of the Lillian Lake Trails and are highly supportive of the proposed trail system at Barbour Rock. This trail system would provide another area to gather and take some pressure off the other trails. Having more options for hiking and biking in the area would benefit so many and not just the trail users. Healthy outdoor lifestyles are the way of our generation, let’s support it in a way that is well thought out with trails that will be developed and maintained to a high standard. I look forward to riding on new sanctioned trails in the Barbour Rock area. Recreational trails built by dedicated volunteers who are committed to the long-term life of trails. Opening up the area around Barbour Rock to the general public for trail use can be used as another great activity to promote our valley for tourism which in turns benefits communities and businesses. Recreational trails are a fun, family friendly way to get outdoors and enjoy this lovely place. I am truly looking forward to riding the new trails at Barbour rock and support them fully. What an excellent opportunity this is for the Valley population to contribute to a wonderful project. Whether we hike or bike, ski or climb the possibility of more carefully planned and designed trails is exciting and challenging. Personally I’m all in favor and very much hope that as much of the project as possible is not just allowed but encouraged to be constructed. Some of my thoughts dwell on the overusage currently being experienced on all our back country and valley trails so the idea of diverting our traffic to other areas is very appealing. Please give this project serious consideration – for all of us. Thanks. Since we moved to Invermere 3 years ago, we have utilized the various bike trails in the area several days a week, summer and winter, for our daily fitness hikes. They provide a nice variety of long and short jaunts and get us into areas we would probably not access otherwise. 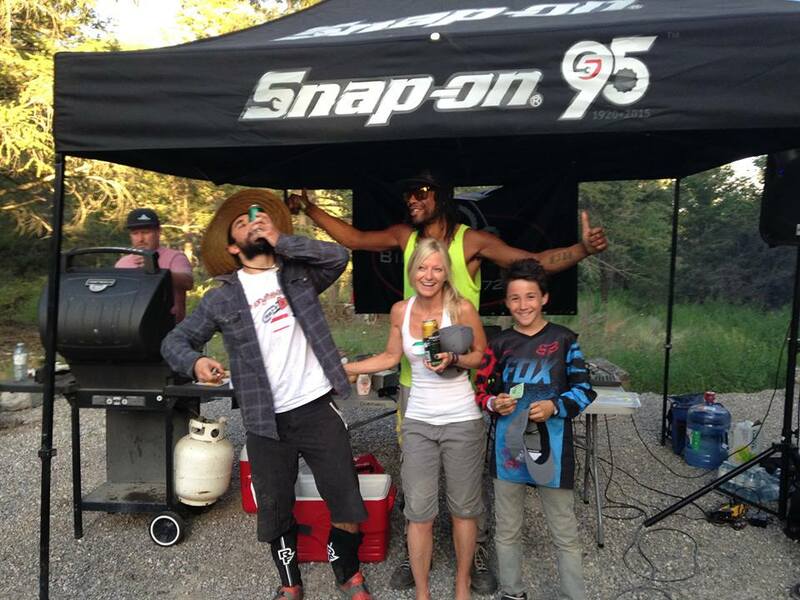 We have often encountered mountain bikers on the trail and have always found them to be courteous and friendly. The only area we hike with extreme caution is the section of The Johnstone along the edge of Toby Creek Canyon. With a number of blind corners we would not like to meet a bike anywhere along there, but we are sure that even riders take it easy along this section. We have read the preliminary development report on Barber Rock and were impressed with its depth and scope. This is an area we have never explored and, given the successful development of the trail system, we are sure that we would fully utilize those trails as well. And, as novice trail riders, we are always looking for new easy loops suitable to our ability and age level. The only area that we were hesitant about was the boardwalk along the west Shore of Lake Lillian. If this trail were to be limited to foot traffic only with no bike access, as stated in the proposal, we think it would be fine, but we are afraid that this would simply become a access trail for riders parking at the Lake Lillian parking lot. We wish you well with your endeavours, and thanks for all the work that you have done in developing and signing the trails in the Lake Lillian system. Barbour Rock is in a beautiful location that can be enjoyed by anyone and everyone participating in a variety of activities from biking and hiking, to cross country skiing and snowshoeing. The trails are great for any level and have lovely views all along the way. The more people that use this area, the more it will be valued and in-turn protected for the by everyone for years to come. Lack of use could open doors to development in ways no one wants. I strongly support this plan and look forward to being able to utilize the Barbour Rock area every time I visit the Columbia Valley. Having moved here from Squamish I can attest to the benefits of a well managed trail system. Mountain bikers, hikers, trials riders and even motorcross enthusiasts all share and help maintain the trail network there and get along while doing it. The demographic of these users would have a significant positive impact on local businesses. I also believe that changes in our environment are going to negatively impact the ski industry possibly making Invermere a ghost town in the winter. If we plan trail infrastructure now we can mitigate negative economic impact on our beautiful little town and create a recreational Mecca for all to enjoy. We support the Proposed Barbour Rock Recreational Trails! That statement, though not ours, is completely aligned with our opinion on the importance of recreational trails. As business owners in the Columbia Valley and active trail users, we see the benefits, both in our physical health and in our business as we see other trail users come into our restaurant. Our goal is to see the Columbia Valley take its rightful place on the list of top recreational trail destinations in BC. All the ingredients, such as favourable climate, exceptional terrain, beautiful backdrop and a vibrant recreation culture are already in place. We just need more legally approved trails! The proposed Barbour Rock Recreational Trails will be a giant leap forward in meeting this goal and will provide long term health and economic benefits to our community. Previous post Raffle Winner Announced!